Network-attached storage (NAS) can be an extremely useful addition to today's multi-device household. A centralised data store makes a whole lot of sense, as do regular backups from our desktops, laptops and smartphones, and the modern NAS is typically brimming with useful features ranging from something as simple an in-house media server to something as complex as full-blown virtualisation. The caveat? Well, NAS can be daunting for users with little-to-no experience in the field, and there needs to be a simpler product for those wanting to benefit from basic NAS functionality. 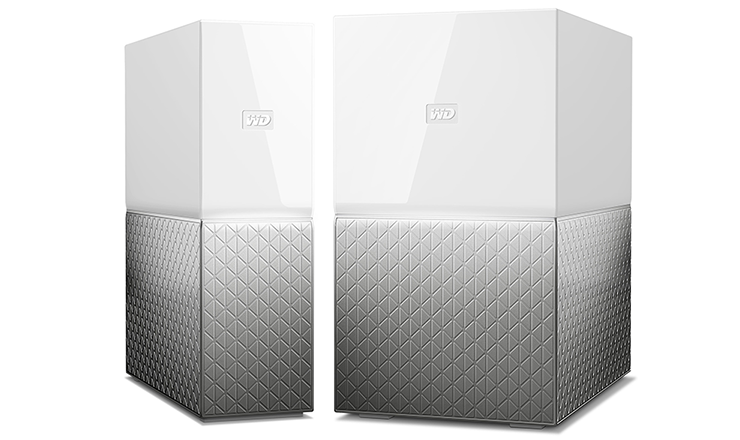 Many manufacturers have attempted to deliver streamlined solutions over the years and one of the latest is WD, whose My Cloud Home serves as a successor to the popular 2013 My Cloud. 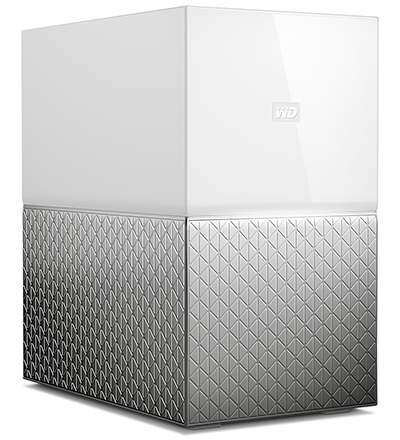 Available in a choice of single- (My Cloud Home) or dual-bay (My Cloud Home Duo) models, and with capacities ranging from 2TB to 16TB, WD reckons there's a My Cloud Home for everyone. Prices start at around £120 for an entry-level 2TB unit, though our dual-bay review sample, offering greater peace of mind and 8TB of storage, fetches £370. First impressions are positive. 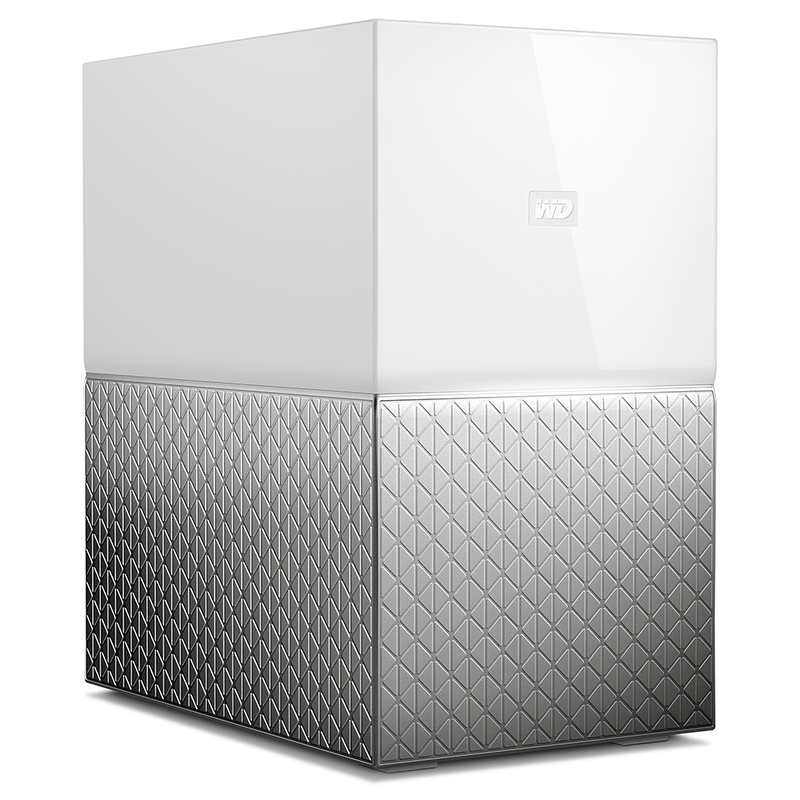 If you're going to make a streamlined NAS, it should probably look something like the My Cloud Home Duo. 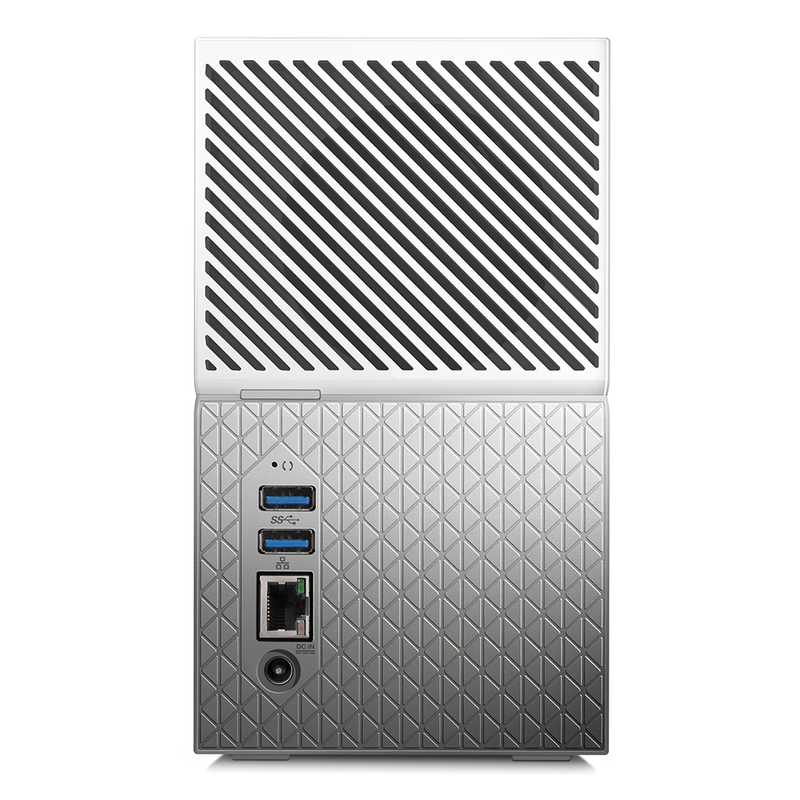 WD's white-on-silver 179mm (H) x 102mm (W) x 160mm (D) chassis is particularly easy on the eye and maintains the half-and-half design language that now features in most of the firm's products. It is an elegant piece of kit, with subtle LED lighting filling the front-panel gap between the two halves, and the plastic top lid pops off, revealing access to a pair of 4TB WD Red NAS-optimised hard disks installed on removable sleds. 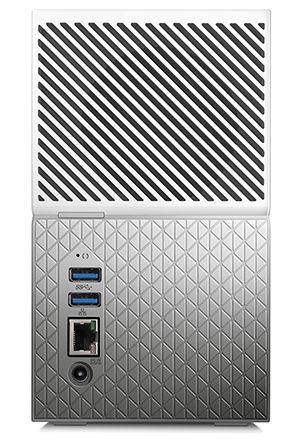 Keeping things simple, the rear of the unit is home to a power connector, Gigabit Ethernet, two USB 3.0 ports, a slim power button and a vent for the internal fan. WD's clutter-free approach is a clear sign of intent; whereas traditional NAS units are lined with front-facing controls and ports, My Cloud Home Duo is designed to be an always-on device that you never need to touch. Heck, the single-bay My Cloud Home doesn't even have a power button. So who exactly is it for? That's a key question as, at the £370 price point, you can buy a dual-bay unit from, say, Synology or Qnap, offering similar storage capacity and a far greater feature set for experienced folk. WD is instead aiming for modern home users who have little networking experience but an iPhone apiece and possibly a PC and Mac. That's a rather large market, and My Cloud Home Duo seems a natural fit. Initial setup couldn't be any easier. Plug the provided Ethernet cable into your router, the power adapter to the wall, and then point your web browser to mycloud.com/hello. You do then need to create an account - My Cloud Home won't function without - and the setup wizard is then eager to encourage users to download a companion app for desktop or mobile. Having to create an account is an important consideration that comes with pros and cons. 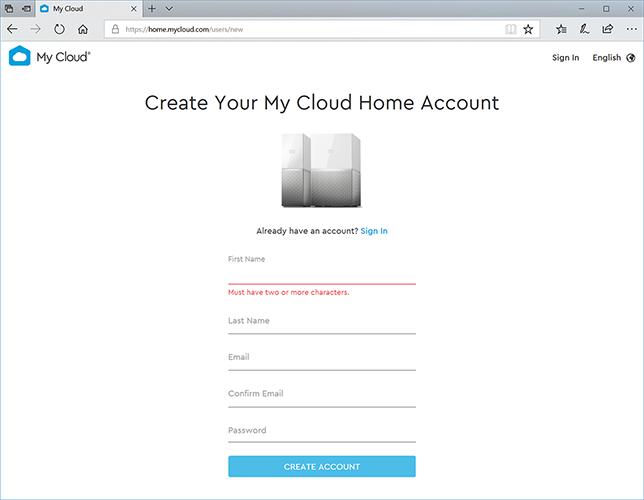 On the one hand, having an account managed by WD servers means that access to the My Cloud Home is simple when outside the home - simply login with your username and password at mycloud.com and hey presto. On the flip side, what happens if the WD servers go offline? An inability to login would result in no access to any stored content, even if you're sat next to the device.